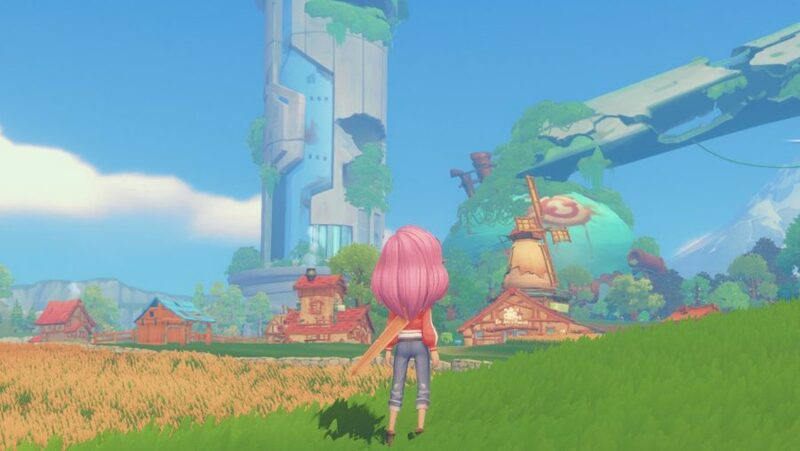 My Time At Portia and Yonder: The Cloud Catcher Chronicles are two very similar games regarding gameplay. People often wonder which game they should be playing and I’m here to help! Even though both would be a good recommendation, below you can find a small comparison of the two games to possibly help aid in your decision. In both games, you get amazing items through crafting that make the games a lot more fun. The crafting gameplay can become a little tedious in both but is still an enjoyable experience. 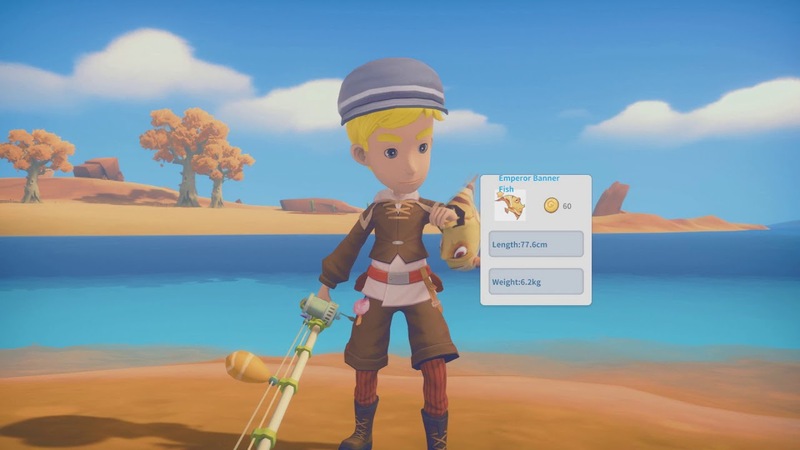 In Portia you need to run to and from each device to craft your items whereas in Yonder, everything is done the your bag menu. If you like the simplicity of it, Yonder has a good system but Portia has more roleplay and realism with using the devices. Fishing in Portia and Yonder use very similar mechanics. The notable difference that I noticed was when comparing the two’s Fishing Tournament. Portia’s fishing tournament is great as it is one where you feel the suspense as you watch the number of fish go up from the other competitors. In Yonder, there is absolutely no competition. The quest giver calls it a “tournament” but there seems to be no other people to compete with. Even though Portia has a better fishing tourney, Yonder seems to have an easier fishing mechanic. The most notable difference between the two games for me was the townsfolk. Portia comes to life with the range of people you meet and their personalities. Yonder’s characters seem to be a blank slate filled with opportunity for more story but they just don’t have it. You can also have relationships with the people in Portia and even get married! Music in both games are another aspect that are quite similar. They are both relaxing and add to the feeling of the game. Nothing stands out too much. The opening scene from Yonder is breath taking and memorable with perfect music queues. Sounds in Yonder seemed to win me over rather than Portia. The reason being was just the volume. Sometimes in Portia you run into trees that have birds chirping extremely loud in your ear and the mixing just seems off a lot of the time. Even though I also experienced trees with loud birds in it in Yonder, this issue was not as bad. The visuals between both Yonder and Portia are quite different. I have seen comments saying people prefer Yonder and other people prefer Portia. To each their own when it comes to the graphics between the two. The only takeaway that I have here is that Portia has a sort of fog filter which makes distant views look more distant. I feel like this fog takes away from the graphics. (Side Note, there is a mod you can download to get rid of this fog!) I also feel like Yonder has a similar issue where night is too realistic and dark. I wish there was an option/mod to play only in daytime! My Time in Portia has some stunning distant views. Customizing your character in both Portia and Yonder seem to be a little limited. However, where the customization excels is through the buildings that you’re able to put in your farms. Portia has much more customization than Yonder in this field but Yonder comes in with a close second. Which game would I recommend to people? Both! My Time in Portia has a lot of depth when it comes to building up your workshop and relationships which makes for a more interactive game play experience. 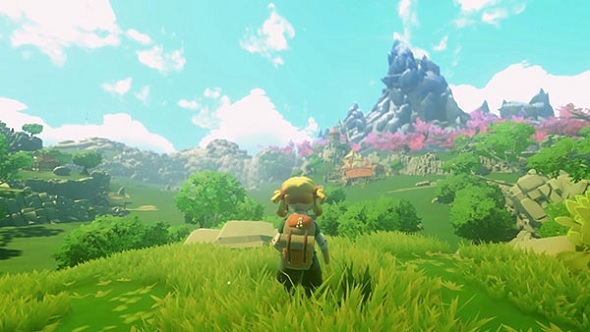 On the other hand, Yonder: The Cloud Catcher Chronicles is a more laid back game about exploration and taking in the scenery. Depending on what you’re in the mood for, either of these games are fun and worth the time to play. By clicking the title here, you can purchase your very own copy of My Time at Portia or Yonder: The Cloud Catcher Chronicles on the Nintendo Switch. Kristen loves playing and writing about simulation, RPG, casual, and co-op games. When she’s not exploring a virtual world, she loves to travel internationally, enjoy yummy foods, and hang out with her husband and orange tabby cat. Its a great game and absolutely worth a play! The cute art style also looks really great on the Switch!